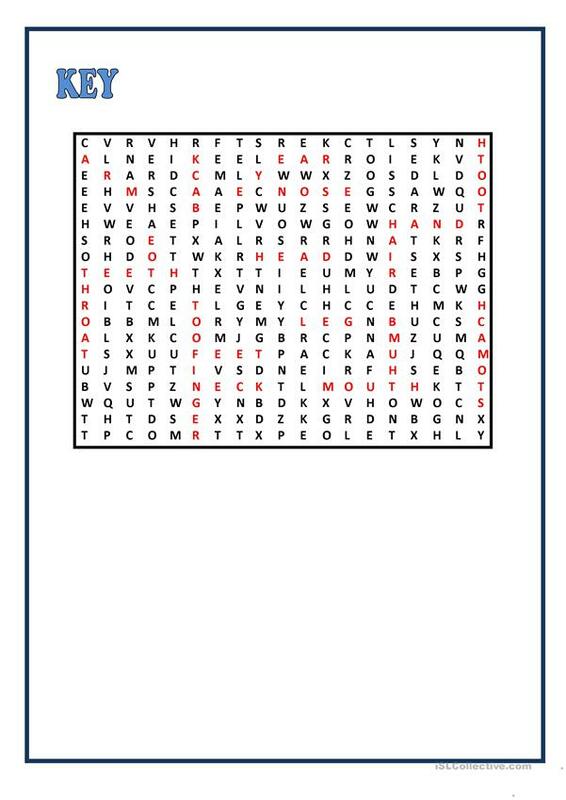 Students have to find the hidden words. Key included. Thanks. 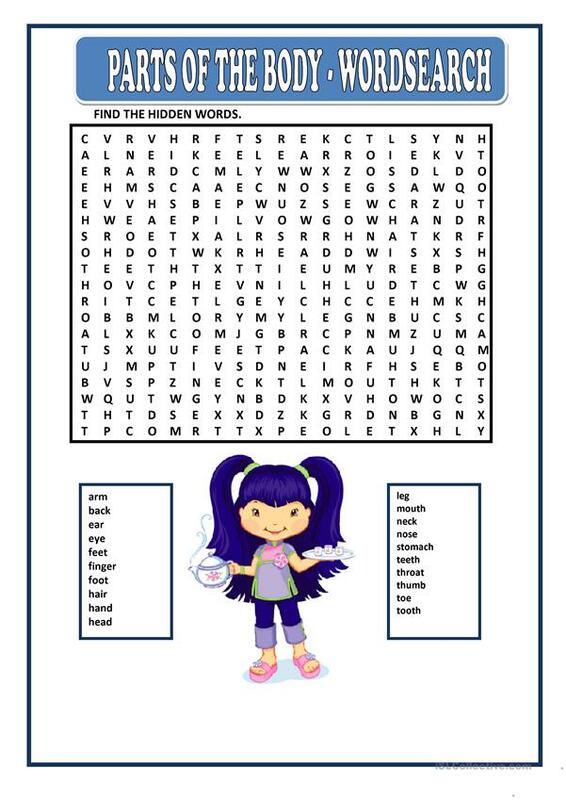 The above downloadable printable is intended for elementary school students and kindergartners and nursery school students at Beginner (pre-A1) and Elementary (A1) level. It is excellent for developing your learners' Spelling, Reading and Writing skills. It features the topic and words of Body. The key is provided, too.